The 2015 federal election was a disheartening one for the New Democratic Party (NDP). There was a real sense, even weeks into the marathon election, that leader Tom Mulcair could become Canada’s first NDP prime minister. Of course, we know what came next: On October 19, 2015, Mulcair conceded, trying to put on a brave smile to speak about a great campaign—even if the party just lost more than half of its caucus. Nevertheless, he could not help but look visibly uncomfortable, bearing the weight of the opportunity squandered. In discordance with the popular narrative, I don’t ascribe to the notion that the Liberals actually outflanked the NDP to the left, but Mulcair’s failure to read the progressive potential in the electorate made such an argument plausible to voters and pundits alike. This, combined with shifting support that put the Liberals in the best position to defeat Stephen Harper in the second half of the election, meant that voters flocked to the Liberals, even in strong NDP ridings. In the aftermath, most NDPers felt the campaign was a strategic failure but were divided on Mulcair’s fate. Some felt “backroom boys,” those making private political decisions, did Mulcair in, that he had learned his lesson, and that he was the best choice available. Others argued that Mulcair bore responsibility for the result and denounced what his leadership represented: a 2012 gambit to give the leadership to a recent Liberal pledging victory over values. Critics pointed to the NDP’s 2013 constitutional revisions, which removed from the preamble a commitment to social ownership, production for use over profit, and the abolition of poverty. Given the 2015 result, this side argued, the Mulcair experiment was a failure. Going into the spring 2016 NDP convention, there was grumbling about Mulcair’s leadership. But even though Canadian Labour Congress President Hassan Yussuff was open about his unwillingness to support Mulcair, there was little sense of an organized “dump Tom” campaign, and some felt that he would obtain the 70 percent confidence typically needed to remain leader. Surprisingly, Mulcair failed to even win half the room’s confidence. This set us along the path to the party’s current leadership race, which began on December 21, 2016, when British Columbia MP Peter Julian officially registered his campaign. In early 2017, Charlie Angus, Guy Caron, and Niki Ashton followed to form the original core of the contest. These four candidates—all federal MPs—were joined by veterans advocate Pat Stogran and Ontario NDP MPP Jagmeet Singh, the former of whom quickly dropped out. Given that Julian has recently exited the race citing poor fundraising outcomes, the field is set with four credible candidates. At the time of publication, the race is still fairly open, but there are some trends. In terms of polling, Angus has consistently been in first and Ashton in second. But until we have either more conclusive data, or get a real sense for which of the candidates has been most successful in recruiting new members, predicting the outcome is far from a safe bet. All of the contenders are, at least in their messaging, putting the Mulcair years behind them. Angus harks back to Jack Layton frequently, but almost never to Mulcair. Caron is proposing bold policies around a Basic Income program. Singh is offering fairly substantive social programs. And Ashton is pushing intergenerational justice and the idea of increased public ownership in industry. Even as these four candidates are partially divided on specific policy matters, there is a consensus that the Mulcair era is over—and a close look at democratic socialist campaigns abroad could signal what’s to come. Canadians voted for progressive change in 2015—even if the party that benefitted was less than sincere about many of its promises, from electoral reform to ending educational inequities for Indigenous children. And while the Trudeau Liberals continue to poll well, some of the lustre is coming off, and there is room upon which to oppose the government from the left. Angus, for one, has scorched their failure to keep commitments to Indigenous communities, and Ashton has called out the hypocrisy of the Liberals energizing young people while doing little to address youth precarity. But this move is also driven by the international context. In 2016, Bernie Sanders captured the imagination and emotions of millions of Americans, but also resonated with Canadians who felt he was sparking the grassroots energy and political interest needed in the wake of 2015. In fact, Ashton personally volunteered to help Bernie during the primaries, citing his message and ideals as akin to her own. Bernie’s value for the Canadian left came less in particular policy than in his approach to the politics of class. He acknowledged class strife in American society, took sides in the struggle, and offered a platform cognizant of it. Shortly after the 2016 American election, for instance, Sanders tweeted that “there’s been class warfare for the last 30 years, but it’s been the ruling class taking on the middle class and poor.” It matters less if Sanders is a textbook socialist, and more that he took on the “millionaire and billionaire” class while standing with working Americans. He proposed new social spending that would help the latter and raised taxes that would disproportionately impact the former. And while most presidential candidates have painted themselves as a friend to rich and poor alike, Sanders did just the opposite, advising the wealthy and powerful not to vote for him. This approach was largely in line with Franklin D. Roosevelt’s in the 1930s, when he said that he “welcomed the hatred” of those elites opposed to his presidency. Ultimately, Sanders saw the issue of taxes, social spending, and austerity as one inseparable from class; he knew that you cannot have a system that pleases everyone. Instead, he chose the side of working- and middle-class people. 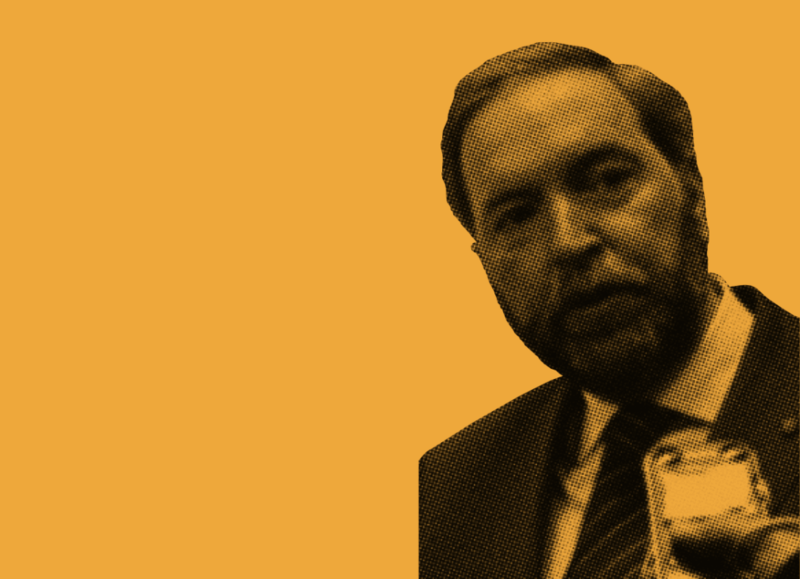 Under Mulcair, in contrast, the NDP portrayed themselves as a genuine partner to all social classes. There are multiple examples, but the clearest regards taxation: Mulcair suggested that if income tax rates on the wealthy were increased, it would approach a level of unjust and “confiscatory” taxation. As PM, he would push to close certain tax loopholes and for a higher corporate tax rate but wasn’t willing to significantly reform the system in favour of working people, nor to explore in a sustained manner the politics of taxation as a clear analogue for the politics of class. Additionally, Mulcair’s timid tax plan was hard to square with his proposed social programs and zero deficit pledge. In today’s leadership race, candidates are significantly dismissive of Mulcair’s tax policy, with Caron proposing fairly ambitious increases to fund his Basic Income program, and Singh doing much the same—including the creation of an estate tax—to cover his proposed spending. In more recent days, Ashton has come out with her own tax plan not dissimilar to Singh’s, though it goes further in making the taxation of capital gains equal to that of income. Finally, Angus has yet to fully formalize his plan, but has written an op-ed piece in The Huffington Post about how he would raise taxes on those making over $250,000 to increase tax relief for lower income Canadians. Clearly, the way in which Bernie made taxation a fulcrum for bringing forward a politics of class and social justice has made an impact. The impact of Sanders might yet be overtaken by that of United Kingdom Labour Party (UKLP) leader Jeremy Corbyn. Like Sanders, Corbyn is a long-time voice of the left and highly popular with young people. But he also leads a social democratic party not dissimilar to the NDP, making for a better apples-to-apples comparison. Corbyn became UKLP leader in 2015, and from the start, his unapologetic socialism made him a target of the media, elites, and most of his own caucus. (The latter constantly tried to overthrow him based on the perception that he failed to adequately represent the Remain campaign during the Brexit referendum, and that his staunch socialism made him unelectable.) While Corbyn had strong support from UKLP members, he was under perpetual siege—and Conservative leader Theresa May called an early election this spring in an effort to capitalize on Labour’s divisions and low polling. Despite this, in what many called a shocking result, Corbyn turned the polls around, gained 30 seats, and took away the Conservative majority. Since the election, his personal and party approval ratings have skyrocketed, and the Conservatives’ have tumbled. This has only been exacerbated by an apartment fire in London, England, that killed as many as 100 residents, to which May’s response was seen as deflectionary and evasive, all while Corbyn came across as a compassionate statesman. Corbyn offers a clear example for how the NDP can energize young people and run a competitive election in the face of hostile opposition. But his value is chiefly that he has reintroduced democratic socialist language into the Anglosphere’s public lexicon and earned 40 percent of the vote in the process. His ideology ties in rather comfortably within that of revered former NDP leaders like Tommy Douglas, David Lewis, and Ed Broadbent, who from the late 1960s into the mid-1980s articulated a socialist approach to making Canada a more just and humane society. They called for public ownership, lauded economic planning, championed equality beyond that of opportunity, and demonstrated the necessity of democracy beyond the ballot box. What these historic leaders have in common with Corbyn—and what would push the modern NDP out of its comfort zone—is the conviction that socialism is not synonymous with the welfare state. Although a welfare state must be present in a socialist programme, it must be accompanied by an endeavour to bring more democracy into Canadians’ daily lives, and more public control over the country’s economic destiny. Many—like former Mulcair principal secretary Karl Bélanger—will say that holding up Corbyn as a template for NDP success is rash because he failed to win the election. But this view fails to acknowledge how deeply Corbyn has already inspired change in Britain’s political climate. Despite all the conventional wisdom about how democratic socialism would lead Labour into oblivion, Corbyn has done just the opposite, growing their vote share in relation to the previous election by more than in any other since 1945. Further, no single NDP leader has achieved a federal government— or Corbyn’s 40 percent vote share—and party supporters would never deny the successes and influence that the federal NDP has had across history. Matters in the NDP leadership race are still in flux, so the person most likely to bring about such a direction is not set in stone. Nevertheless, it does appear that Ashton is most comfortable with taking a Corbyn-style line, with her calls for nationalization, outreach to stridently left groups such as Trotskyist Fightback Canada, and an articulated desire to turn the NDP leftward. But even her plans aren’t in the vein of Corbyn’s because they lack the specificity found in his platforms. Further, her rivals could certainly move in a leftward orientation themselves, and gobble up more of that space. And as noted above, all four candidates have moved leftward in relation to the Mulcair and Layton eras. The path toward the NDP’s electoral success and ideological relevance, in my view, is through a democratic socialist platform that encourages social spending and redistribution, along with novel solutions to capitalism’s flaws, be they traditional concerns with industrial autocracy, or modern issues such as environmental sustainability and automation. From a practical standpoint, a democratic socialism transcending the welfare state will not only bring fresh ideas nonetheless rooted in NDP history but will contain policies that the Liberals won’t be willing to co-opt. Trudeau may well accept minor tax increases, deficits, and child care benefits, for example; but the Liberals—at least not without an NDP-balanced minority parliament—won’t be willing to make steps to democratize workplaces and the wider economy. This has to be the central strategy going forward for the federal party: to be unabashed progressives on social and cultural matters, and to combine these values with a consistent drive to democratize all aspects of public and economic life. There are about two years until the next election. While the NDP are down in the polls at the time of publication, the U.K. election has shown us that bold policy, resilient leadership, an arrogant opponent, and an energized base can turn things around in a flash.